1. Which among the following are correct about Kepler 37b? 1. Kepler-37b is an exoplanet orbiting Kepler-37 in the constellation Lyra. The Prasar Bharati (PB), is a statutory autonomous body established under the Prasar Bharati (Broadcasting Corporation of India) Act 1990. 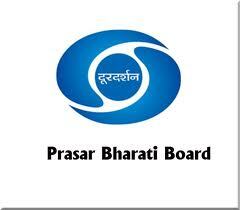 It is India’s largest broadcaster and comprises Doordarshan & All India Radio. Prasar Bharati wishes to recruit young and skilled personnel for manning the posts of Engineering Assistant & Technician in offices spread all over the country. Applications are invited from Indian Nationals who fulfill the prescribed qualifications and age etc. for these posts. Staff Selection Commission (SSC), Government of India, will make recruitment to these posts on behalf of the Prasar Bharati under special dispensation given by the Government. The candidates selected through this recruitment for posts in PB will NOT, however, have the status of Central Government Civilian Employees. As such they will not be eligible for benefit of age relaxation etc. admissible to Central Government civilian employees in recruitments made by the Staff Selection Commission for Ministries/ Departments/ Attached and Subordinate Offices under Government of India and will not be entitled to claim parity with Central Government Civilian Employees in any matter whatsoever. Through current affairs online test series, currentaffairsindia.info presents the most relevant model questions on Indian Current Affairs. These questions are applicable to Civil Service Prelims(CSAT 2013), Railway Recruitment Exams, Bank PO and clerical exams and various other competitive exams. The questions are framed from Government releases, various major news papars etc. Any comments/doubts are welcomed!! 1. Which among the following are true about Financial Super Market concept? 3. Here a Bank can act as a one point contact of its Channel Partners. 4. This concept is implemented all over India. The meteor which closely missed the Russian city of Chelyabinsk on Friday is likely to go down in history as the largest celestial body to have hit the Earth over the past hundred years. NASA scientists said the object was a tiny asteroid that released 300 to 500 kilotons of energy when it exploded, which is roughly equivalent to 20 atomic bombs of the type dropped on Hiroshima and Nagasaki. This would make the Chelyabinsk meteor the largest since 1908 when a meteor hit Tunguska in Siberia, levelling an estimated 80 million trees. The energy of the Tunguska blast is estimated to have been up to 50 megatons. 4. Buying a mutual fund. One of the most popular Government exams- SSC's Combined Graduate Level (CGL) 2013 Notification is Out and Online Registrations are going on, The Last Date to Submit the SSC CGL Online form is 15th February, 2013. and Written Exam is Scheduled on 14th and 21st April, 2013. Commission will be holding Combined Graduate Level Examination,2013 for recruitment to different posts for which Graduation from a recognized University is the minimum Educational Qualification. The Examination will comprise of two Tiers of Written Objective Type examination followed by Computer Proficiency Test/ Interview/Skill test, wherever applicable as per the Scheme of Examination and a descriptive/on-line test of qualifying nature for candidates shortlisted for interview/skill test/document verification. The Reserve Bank of India Governor D. Subbarao warned the country against widening Current Account Deficit (CAD), which is expected to be higher than last year. “Today, the external sector is vulnerable. Last year, the CAD was 4.2 per cent of gross domestic product (GDP). This year, in 2012-13, we expect the CAD to be significantly higher than that, historically, the highest CAD measured as a proportion of the GDP,” said Dr. Subbarao. Currently the CAD is at 5.3 percent of GDP in the second quarter of the current financial year. Pope Benedict XVI announced on Monday that he would resign Feb. 28 the first pontiff to do so in nearly 600 years. The decision sets the stage for a conclave to elect a new pope before the end of March. The 85-year-old pope announced his decision in Latin during a meeting of Vatican cardinals on Monday morning. The last pope to resign was Pope Gregory XII, who stepped down in 1415 in a deal to end the Great Western Schism among competing papal claimants. Benedict called his choice “a decision of great importance for the life of the church.” The move sets the stage for the Vatican to hold a conclave to elect a new pope by mid-March, since the traditional mourning time that would follow the death of a pope doesn’t have to be observed. “After having repeatedly examined my conscience before God, I have come to the certainty that my strengths due to an advanced age are no longer suited to an adequate exercise of the Petrine ministry,” he told the cardinals. “I am well aware that this ministry, due to its essential spiritual nature, must be carried out not only by words and deeds but no less with prayer and suffering," said Pope. 1. Which among the following are correct about Fullbright nehru Fellowship for Indian students ? 2. These fellowships are offered for a maximum period of 12 months. 3. 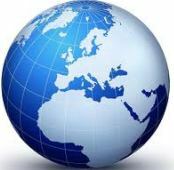 These fellowships are offered by United States-India Educational Foundation. 4. For allying, scholars and professionals should have a Ph.D. degree from an Indian institution. 1. Which among the following are correct about National Communal Harmony Award ? 1. The jury for the selection of National Communal Harmony Award is headed by President of India. 2. National Communal Harmony Award 2012 was won by FANS, Delhi. 4. 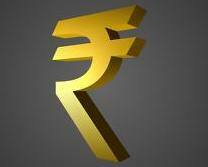 The award carries a cash prize of Rupees five lakh.